Welcome to the weekend. 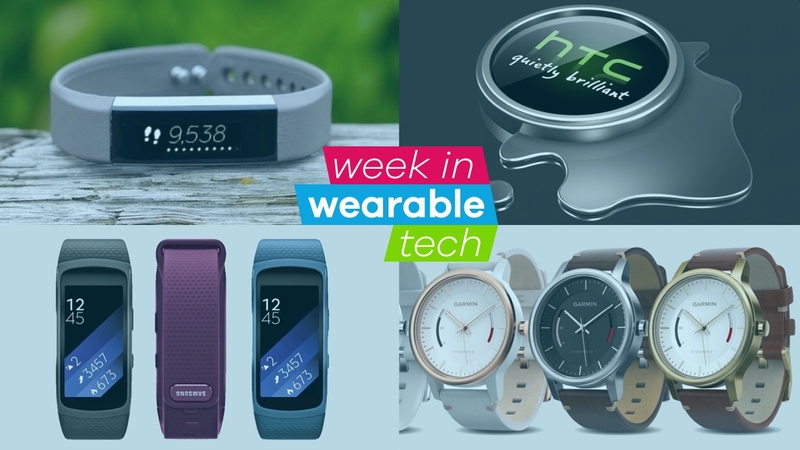 Yep, another week has flown by and, as always, there's a bunch of wearable tech news headlines to catch up on. So, before you head out in the sun, take a look at our comprehensive roundup of the big news below..
We first got wind of the Gear Fit sequel when a grainy image hit the web last week. This week, we've had official confirmation from Samsung itself that the Gear Fit2 is coming - albeit unintentionally. The Fit2 was listed, along with the IconX sporty earbuds, on the Korean company's S Health website before being taken down. There was nothing in the way of specs, pricing or features, but we did get to see our first official pics. The Fit2 is just one of a number of smart wrist wearables set to launch soon. No, really. The Garmin Vivomove is a tracker inside a traditional watch body, like the Withings Activité. The Vivomove keeps its tracking skills minimal with the emphasis on packing them inside a nice looking watch. It's available now, in three different models starting with the Sport at the bottom, with the Classic up next and the Premium, which offers the tracker with the option of stainless steel or a gold-tone steel finishes. Check out our pick of the best hybrid watch trackers. Fitbit boss James Park has revealed that a line of "exciting new products" will launch before the end of the year. Unsurprisingly, Park didn't mention any product names, although we do know that Fitbit recently applied for trademarks for the Fitbit Flex 2 and the Fitbit Charge 2. Fitbit also announced that it recorded $505.4 million in revenue during the first quarter of the year. The HTC smartwatch rumours continue to gather momentum and the latest murmurs point towards an Android Wear device, called the HTC One Watch, being announced at the start of June. That's according to Evan Blass, whose predictions in the past have been pretty impressive (although he originally touted an April launch). Polar has introduced a new running program, integrated into Polar Flow, that works with its line of running watches and fitness trackers to help you build the perfect training plan. Sounding like what Adidas offers through its MiCoach training app, Polar is aiming to take things further offering adaptive plans and real time coaching. Our crowdfunding pick this week is AirJamz, a Bluetooth motion sensing wristband that lets you play air guitar with sounds. Groundbreaking? No. Great fun? You betcha.